To the memory of Captain G.R. 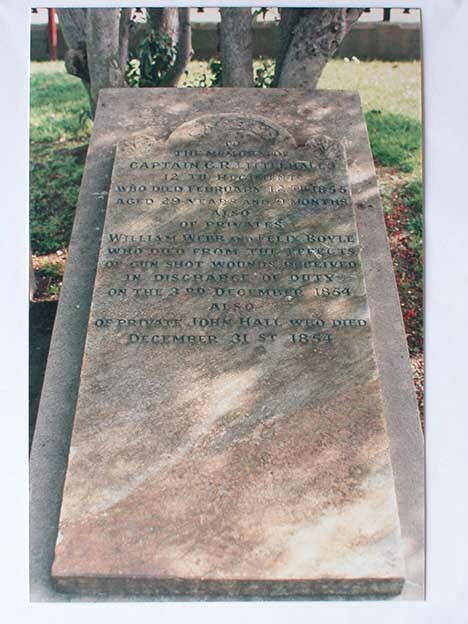 Littlehales 12th Regiment who died February 12th 1855 aged 29 years and 9 months also of Privates William Webb and Felix Boyle who died from the effects of gunshot wounds received in discharge of duty on the 3rd December 1854 also of Private John Hall who died December 31st 1854. Felix Boyle was born in Fermanagh, Ireland in 1822. He enlisted with the 10th (North Lincolnshire) Regiment and spent fourteen years in the British Army in India. After returning to Ireland he enlisted again on the 26 August 1853 with the 12 Regiment, and he sailed to Australia on the Empress Eugene. 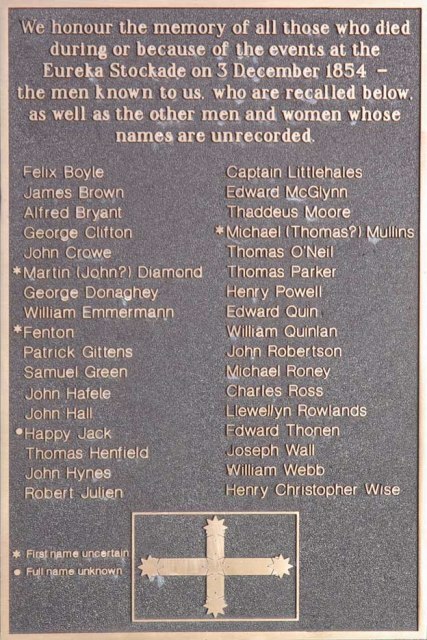 A private of the 12th Regiment, Felix Boyle (3280) died a result of a musket ball to nose and mouth, and a broken jaw, during the Eureka Stockade battle. He died on 10 January 1855, aged 32 years, and was buried in the Soldiers' Enclosure at the Ballaarat Old Cemetery on 11 January 1855. This page was last edited on 17 April 2018, at 02:01.